Nearly half of Britain’s smaller businesses do not differentiate between the ‘Big Four’ high street banks, according to a new study. Only one in ten small to medium-sized firms believe the services that the major banks offer are better than those of the new ‘challenger’ banks, according to research from Platform Black. The supply chain finance firm also found that perceptions of the major banks deteriorated the smaller the company is. Only 7 per cent of businesses in their first year of trading or with a turnover of less than £1million a year believed the traditional banks offer a better service than the challengers. And just 15 per cent of those with a turnover of £10 million or more considered the big banks’ offer to be better. Platform Black is a co-founder of the Alternative Business Funding portal, which has just been joined by crowdfunder Rebuilding Society, it was announced today. 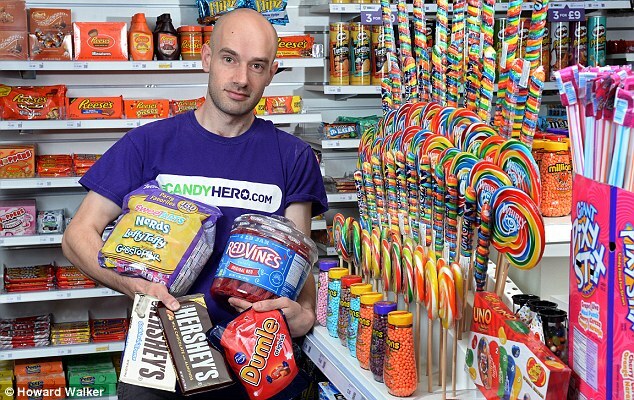 Candy Hero is one firm that has expanded following a loan from Rebuilding Society. The rare sweet importer and retailer, based in Baildon, West Yorkshire, raised £50,000 from Rebuilding Society’s members, who it says can invest as little as £10 each for returns of 8 to 20 per cent.